Offensive tackle Ryan Harris inked a two-year, $3.9MM deal with the Steelers in free agency last March. Twelve months later, he’s retiring, according to Cameron Wolfe of the Denver Post (Twitter link). Harris, who will turn 32 on March 11, only appeared in five games and didn’t record any starts in his lone season in Pittsburgh. Despite that, he told Mike Klis of 9News that playing for the Steelers “was a dream come true.” The Steelers placed Harris on injured reserve in early October on account of a shin issue. Injuries were long problematic for Harris, who underwent three back surgeries and dealt with other ailments during his career, as Klis notes. Prior to joining the Steelers, Harris logged a combined 110 appearances and 70 starts with the Broncos, Texans and Chiefs. The majority of his work came in Denver, which selected the ex-Notre Dame standout in the third round of the 2007 draft. Harris started in 50 of 62 appearances as a Bronco, with whom he had tenures from 2007-10 and 2015. In his second stint with the Broncos, the 6-foot-5, 299-pounder started every game and collected a Super Bowl ring. “Everything I had been through to everything we had accomplished was phenomenal,” Harris said of Denver’s latest championship-winning team. Senquez Golson‘s Steelers debut might have to wait until 2017, depending on what happens with the team’s injury situation this season. Pittsburgh placed the second-year cornerback on IR, where he will join backup tackle Ryan Harris, according to Adam Caplan of ESPN.com (on Twitter). A preseason foot injury sidelined Golson, but the Steelers previously kept him on their active roster. The 2015 second-round pick spent the entirety of last season on IR. This move isn’t entirely unexpected since Golson underwent foot surgery in early August, with the procedure’s rehab timeline hovering around four months. He missed all of last season due to an August shoulder operation. The Steelers can bring Golson back later in the year, but Golson has to miss at least eight weeks’ worth of games and six weeks’ worth of practices, per the tweaked IR rules. Harris was injured against the Chiefs while starting for the ailing Marcus Gilbert at right tackle. He’d been the swing man behind Gilbert and Alejandro Villanueva this season after signing for two years and $3.9MM this offseason. 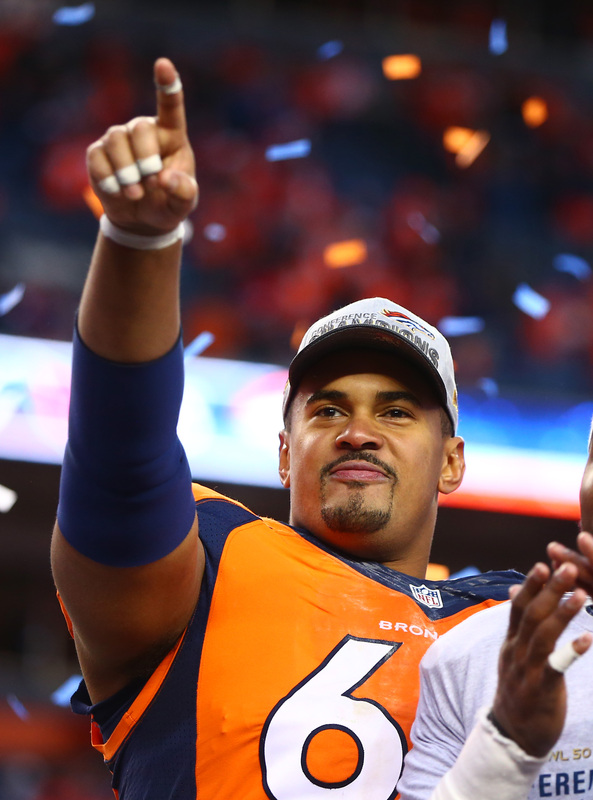 The 31-year-old Harris began 2015 as the Broncos’ starting right tackle before injuries elsewhere relocated him to the left side, where he started the final 15 games for the Super Bowl champions. Harris’ injury leaves Chris Hubbard as the Steelers’ starting right tackle Sunday against the Jets. Maurkice Pouncey took reps at right tackle this week despite having never played there in a game. The Steelers replaced Harris and Golson on their roster with offensive lineman Matt Feiler and cornerback Al-Haj Shabazz, via practice squad promotions. The Steelers never thought about releasing wide receiver Martavis Bryant, even as he’s set to miss the 2016 as a result of a yearlong suspension, general manager Kevin Colbert told reporters, including Mark Kaboly of the Pittsburgh Tribune, at a press conference today. Bryant’s absence also won’t overly affect the club’s draft plans, per Colbert, who says Pittsburgh won’t feel the need to draft a replacement pass-catcher. The Steelers would not have pursued free agent tight Ladarius Green had Heath Miller not retired, according to Colbert, and Kaboly adds (via Twitter) that the team targeted offensive free agents because of the deep defensive draft class. Pittsburgh will “hammer” the defensive side of the ball in the draft, per Colbert. Cornerback, specifically, is one area that the Steelers could address through the draft. “We can’t say we’ll take a cornerback first, second or third,” Colbert said, according to Gerry Dulac of the Pittsburgh Post-Gazette. “But there are enough that we should be able to get one.” Pittsburgh will visit with Houston’s William Jackson III this week, tweets Dulac. One reason the Steelers will target corners is the underwhelming play of Cortez Allen, who is presumably on the roster bubble — Colbert says the club is still trying to ascertain where Allen is health-wise, per Dulac (Twitter link). Head coach Mike Tomlin said last month that he’s not convinced Allen is an impact player. Free agent signee Ryan Harris will battle with incumbent Alejandro Villanueva to act as the Steelers’ starting left tackle, writes Kaboly. The Steelers might not be done in free agency, and could still add another player via the open market, per Kaboly. Here are several of the latest contract details on deals which were agreed upon or signed within the last week. All links are courtesy of Aaron Wilson of the Houston Chronicle unless otherwise indicated. Donald Penn, T (Raiders): Two years, $11.9MM, $5.5MM guaranteed. $2MM roster bonus due 20th day of 2016 league year. $300K in annual weigh bonuses (six weigh-ins worth $50K each). Up to $750K in annual playing-time, Pro Bowl, and playoff incentives (Twitter links). Andre Holmes, WR (Raiders): One year, $2MM. $750K guaranteed. $500K signing bonus. $250K of $1.25MM base salary guaranteed. $250K workout bonus. Up to $1MM in catch, yardage incentives (Twitter links). Adam Jones, CB (Bengals): Three years, $22MM. $6MM guaranteed. $2MM signing bonus. $4MM roster bonus due March 18. $500K in annual per-game active roster bonuses. $500K playing-time escalator for 2017. $750K playing-time escalator for 2018. $200K punt return average incentive for 2018. 2018 option to be exercised by last day of 2017 league year. (Twitter links). Demario Davis, LB (Browns): Two years, $8MM. $4.1MM guaranteed. $2MM signing bonus. Annual $100K workout bonus (Twitter link). Ryan Harris, T (Steelers): Two years, $3.9MM. $675K signing bonus (Twitter link). Pat Sims, DT (Bengals): Two years, $2.3MM. $250K guaranteed roster bonus due March 18. $200K in annual playing-time incentives. $200K playing-time escalator for 2017 (Twitter links via Wilson and Pelissero). Andre Branch, DE (Dolphins): One year, $2.75MM. $2.5MM guaranteed base salary. $250K in per-game active roster bonuses. Up to $250K in incentives (Twitter link). Nate Ebner, S (Patriots): Two years, $2.4MM. $500K guaranteed. $125K in annual per-game roster bonuses. $250K first-day camp reporting bonus. Up to $500K in playing-time, Pro Bowl incentives (Twitter links via Wilson and Mike Reiss of ESPN.com). Frank Kearse, DT (Patriots): One year, minimum salary benefit. $30K signing bonus. $30K first-day camp reporting bonus. $20K in per-game active roster bonuses (Twitter link). Robert Blanton, S (Bills): One year, minimum salary benefit. $80K signing bonus (Twitter link via Pelissero). Antwon Blake, CB (Titans): One year, $1.5MM. $200K signing bonus. Up to $750K in playing-time incentives (Twitter link). The Steelers have agreed to sign left tackle Ryan Harris, according to Troy Renck of The Denver Post (on Twitter). Harris will get a two-year, $3.9MM deal from Pittsburgh. Harris, 31, started all 16 games for the Broncos last season, grading as the league’s No. 53 tackle among 77 qualifiers, per Pro Football Focus. Many felt that a return to Denver was unlikely, especially after the club gave a three-year, $14MM deal to fellow tackle Donald Stephenson earlier this month. PFR ranked Harris as the No. 10 free agent offensive tackle, just behind Will Beatty and Byron Bell, and just ahead of Jake Long. One has to wonder how the Steelers’ signing of Harris will affect fellow free agent tackles Russell Okung and Kelvin Beachum. Okung has reportedly been considering four teams, including Pittsburgh. Beachum is one of the Steelers’ priority free agents this offseason, though the Jaguars appear to be very high on him at this time. Beachum is coming off of a torn ACL that wiped out most of his 2015 season, but he’s been stellar in the past, and isn’t wanting for suitors around the league. For the Steelers, Harris looks like a good bet to compete with Alejandro Villanueva for the starting left tackle job. Despite having the second-most spending room in the NFL ($58.84MM, per Over the Cap), the 49ers have been quiet in free agency, and Eric Branch and Vic Tafur of the San Francisco Chronicle wonder if new head coach Chip Kelly is scaring players away. Right or wrong, Kelly wasn’t exactly seen as a players’ coach in Philadelphia, and some of his methods there – e.g., daily urine tests and a fast-paced offense – could be serving as roadblocks in the 49ers’ quest to add talent, Branch and Tafur opine. If the league ultimately suspends Steelers receiver Martavis Bryant for next season, teammate Antonio Brown could use his absence as leverage to secure a better contract, writes Mike Florio of Pro Football Talk. Brown – who has combined for 375 catches and 31 touchdowns the last three seasons – is woefully underpaid relative to his production (he’s due $14.96MM the next two years). While Florio notes that the Steelers don’t negotiate new deals with non-quarterbacks who have more than one year left on their contracts, he counters that Brown could serve as an exception to that rule. The Vikings are in talks with two of their own free agents, linebacker Chad Greenway and cornerback Terence Newman, according to general manager Rick Spielman (link via Ben Goessling of ESPN.com). Greenway, a Viking for all of his decade-long career, said earlier this winter that he’d like to play one more year. The 33-year-old logged 12 starts last season, giving him 135 overall, and totaled 68 tackles, 2.5 sacks and an interception. Newman, the league’s oldest defensive back (38 in September), also wants to play another year. The 13-year veteran made 16 starts for the Vikes last season, recording 62 tackles and three picks. While the Vikings are interested in Greenway and Newman, the same isn’t true of free agent offensive tackle Ryan Harris, tweets Darren Wolfson of 5 Eyewitness News. Having met with Andre Smith on Sunday, Minnesota is clearly in the hunt for tackle help. Nonetheless, it’s not in on Harris, who will visit with Pittsburgh in the coming days. The Texans are “monitoring” the offensive tackle market, per the Houston Chronicle’s Aaron Wilson, who adds that they might add one in the draft instead of free agency (Twitter link). With Duane Brown, Derek Newton and Chris Clark in the fold, the position doesn’t exactly look like a major need for the Texans. SUNDAY: Harris will visit the Steelers on Thursday, per Renck (Twitter link). SATURDAY: The Steelers are leaving no stone unturned as they seek to upgrade their offensive line, and they’re now expected to meet with a left tackle who was part of a championship club in 2015. Former Broncos offensive lineman Ryan Harris is expected to make the trip to Pittsburgh this week, reports Troy Renck of the Denver Post (Twitter link). The Steelers, of course, have a hole at left tackle pending the status of Kelvin Beachum, who, like Harris, is also a free agent. Beachum is coming off of a torn ACL that wiped out most of his 2015 season, but he’s been stellar in the past, and isn’t wanting for suitors around the league. The 27-year-old has already set up visits with the Jets, Jaguars, and Seahawks, while the Ravens have also expressed interest. While Pittsburgh presumably has interest in re-signing Beachum, the club is said to believe (or possibly hope) it can retain its left tackle via a one-year deal — a possibility that now seems remote given the reported level of interest from other teams. Harris, then, might be something of a backup plan for the Steelers in the event that Beachum does move on — at the very least, a Harris visit could be used as leverage in any ongoing negotiations between Pittsburgh and Beachum. Harris, 31, started all 16 games for the Broncos last season, grading as the league’s No. 53 tackle among 77 qualifiers, per Pro Football Focus. It’s starting to look unlikely that he’ll return to Denver in 2016, especially after the club gave a three-year, $14MM deal to fellow tackle Donald Stephenson earlier this week. PFR ranked Harris as the No. 10 free agent offensive tackle, just behind Will Beatty and Byron Bell, and just ahead of Jake Long. Harris isn’t the only outside option the Steelers are considering — they’ve also set up a visit with Seahawks free agent Russell Okung which is expected to take place tomorrow. Internally, Pittsburgh also acted quickly to retain one key member of its offensive line, signing guard Ramon Foster to a three-year deal earlier this week. After meeting with Russell Okung today, the Steelers are scheduled to meet with free agent tackles Ryan Harris and Chris Hairston later this week, per a tweet from ESPN’s Adam Schefter (we had already heard about the Harris meeting, but the Hairston visit is a new development). Pittsburgh has a void at left tackle that it is seeking to fill, as Kelvin Beachum, who missed most of the 2015 campaign with a torn ACL, looks ready to sign elsewhere. The Lions have already had a visit with Okung, and while all reports seem to indicate that it was a positive meeting, Detroit remains in a holding pattern with the talented but oft-injured tackle. As Kyle Meinke of MLive.com writes, Detroit may have no other choice but to make a big-time offer for Okung, despite the risks, as the offensive line is in serious need of an upgrade and Okung is far and away the best talent still on the market. Darius Slay and Sam Martin are two members of the Lions‘ terrific 2013 draft class that could sign extensions with the club in the coming months, and as Dave Birkett of the Detroit Free Press writes, Theo Riddick is also open to an extension that would keep him in Detroit for the foreseeable future. No contract talks have taken place yet, but Riddick, who led all running backs with 80 receptions in 2015, could have a bigger role in the running game in 2016, and he could get a nice payday as a result. Birkett writes in a separate piece that new Lions GM Bob Quinn has done a nice job of patching holes on his team’s roster while steering clear of overpaying for mediocre talent, a common pitfall for first-time GMs. But Birkett also observes that the Lions are no better right now than they were last year, and Quinn will have to prove that his eye for young talent in the draft matches matches his prudence in free agency. Former NFL agent Joel Corry does not believe that the Jets have serious interest in Robert Griffin III, and he believes the team’s “pursuit” of RGIII is simply a leverage play staged for Ryan Fitzpatrick‘s benefit. If the team were to sign Griffin, Corry believes it would be a modest, one-year pact worth between $4MM-$5MM (Twitter link). Free agent safety Rashad Johnson was set to meet with the Titans on Friday, but per ESPN’s Josina Anderson, that visit has been pushed back to tomorrow (Twitter link). The Raiders appear to be trending upwards, and they have suddenly transformed from a last resort to a desired destination, as Jerry McDonald of InsideBayArea.com writes. Although the team lost out on Malik Jackson, who ultimately signed with the Jaguars, Oakland landed three major free agents–Kelechi Osemele, Bruce Irvin, and Sean Smith–just one year after being spurned by a number of its top free agent targets. As GM Reggie McKenzie said, “It’s good to see people call us and not always have to beg.” McDonald adds that McKenzie is not done spending–the team still has considerable cap space, after all–and the club’s free agent haul, combined with its talented young core, could propel the Raiders back to the playoffs in 2016. San Diego mayor Kevin Faulconer did some scouting before this week’s critical Los Angeles-related owners’ meeting, in paying visits to three owners and commissioner Roger Goodell, according to David Garrick of the San Diego Union-Tribune. Along with Goodell, Faulconer met with John Mara (Giants), Robert Kraft (Patriots) and Jerry Richardson (Panthers) — each a member of the six-owner committee in charge of assessing Los Angeles’ feasibility as the Chargers, Raiders and Rams vie for relocation — and has requested summits with the committee’s other members, Clark Hunt (Chiefs), Bob McNair (Texans) and Art Rooney II (Steelers). The prior trio of owners, however, did not say to Faulconer which way they were leaning, or if they did, Faulconer is not communicating that sentiment to the media. Per Garrick, the mayor’s expressing confidence thanks to a joint-county $1.1 billion stadium plan that would call for the prospective new Chargers’ home to be built over Qualcomm Stadium. No votes are expected on Los Angeles at this week’s meeting, with a final decision likely coming around Super Bowl week, according to Garrick. Here is some news from the facilities of the Chargers’ AFC brethren. Due to Ty Sambrailo‘s shoulder injury, Peyton Manning will have another first-time blocker Sunday when Michael Schofield joins the Broncos‘ starting offensive line, per Arnie Stapleton of the Associated Press. A third-round pick in 2014, Schofield’s been deactivated for each of the 20 games he’s been on the active roster, counting Denver’s divisional playoff loss last season, and he will take Ryan Harris‘ place at right tackle as Harris shifts to the left side. In addressing the issues with the Browns‘ offensive line, Terry Pluto of cleveland.com doesn’t think Joel Bitonio and Alex Mack are performing to the level they did at this point last year. The Browns rank 26th in rushing yards, and Football Outsiders grades the Cleveland front as the 27th-best power-blocking quintet thus far.